Sirona's SIROCAM 3 intraoral camera features high-resolution, fourimage memory and 3 focal ranges for a complete spectrum of applications. The 7 white-light LEDs provide excellent illumination, and the sophisticated lens design results in an excellent depth of field. 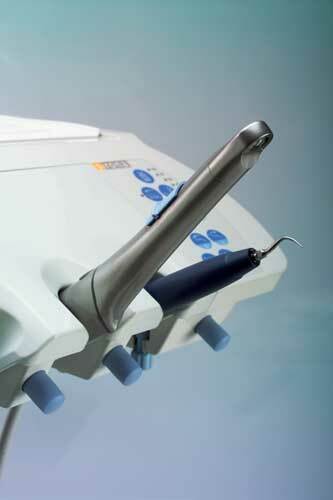 The ergonomically designed handpiece is made with titanium housing. The camera can be mounted so it's always easily within reach. Like a conventional handpiece, the camera is automatically activated when picked up.